We don't enclose our booth in a little wooden box or tent. Having the fun in the open makes the laughter contagious. Our open booth layout accommodates huge group shots. We print an extra for everyone who wants one. Keep the memories forever. We'll make an extra copy for a scrapbook and you get all of the digital originals on a thumb drive. Use the booth for any occasion or event! The Starlight Photo Booth is a big hit at weddings, anniversary parties, birthday parties, sweet 16 parties and more. But it's also the perfect addition to any corporate event or trade show. Brand the photo strips with your logo and message. 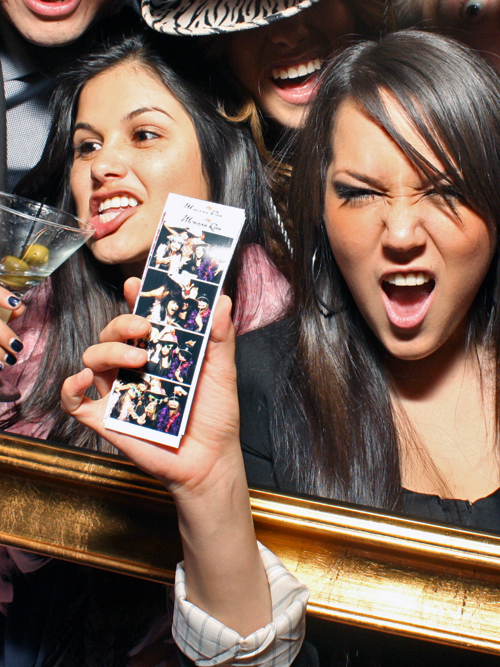 Photo strips are the ultimate souvenir from your event. You get to choose one of our artistic photo strip templates at no extra charge. 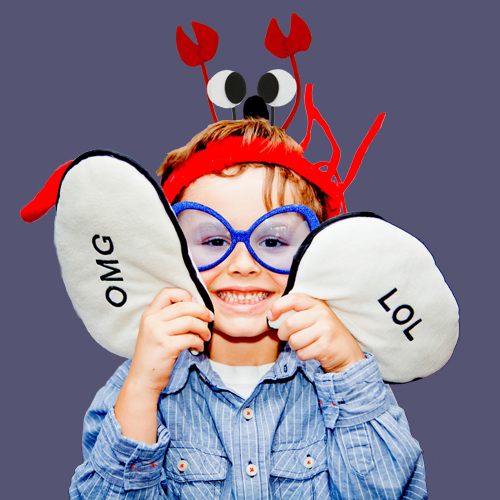 We have a variety of hats, glasses, boas and other fun props for you and your guests. Your guests will get creative and take multiple photo sessions with different props. Props are a great way encourage more use of the photo booth. Use the date checker on the right to see if we have a photo booth available on your date. If we do, you'll be taken to a page with a contact form. If you don't know the date of your event yet, you can click here to be taken to a contact form.